Games commonly invite us into rich, fantastical worlds of pretend. But for Nadya Suvorova, there are endless remarkable experiences to be sourced in our own rality. The unique interactive experiences she designs bring art and science together, exploring the grace of the natural world from microbiology to the vast cosmos. As a child, she recalls being captivated by books about volcanoes, space and other natural phenomena, attracted to their pictures. The daughter of architects, she went on to study graphic design, illustration and photography. All she knew about games at the time came from watching her brother play Dendy, a Chinese Nintendo Entertainment System clone popular in her native Russia in the early 1990s. Yet she felt compelled to go beyond static visuals in her work, and began to experiment with programming. The elegant and haunting Daisy Bell, inspired by the sound wave of a hand-crank organ, was an early result. Empowered by the ability to create interactive experiences, Suvorova pursued the dream of making the scientific photography that had compelled her since childhood more interactive. "I really liked satellite pictures, and I could spend hours traveling around the earth by using Google Maps," she says. 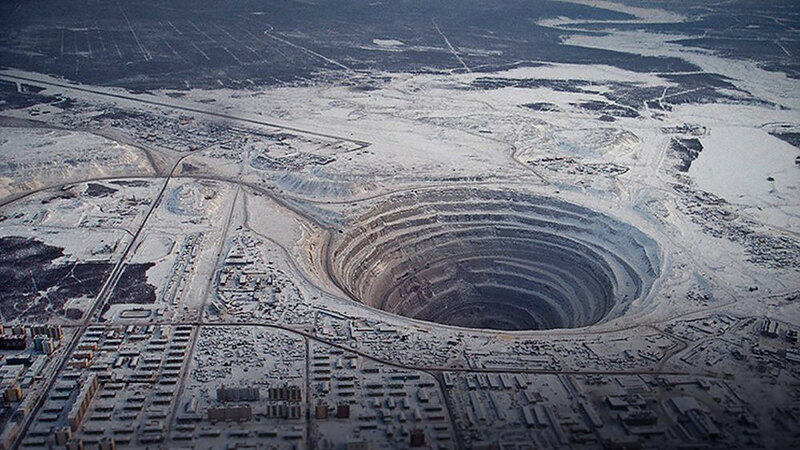 She was mesmerized by some of the earth's greatest phenomena, like the world's largest manmade hole -- part of a diamond mine in East Siberia. "It's beautiful and terrible at the same time, and this picture became the inspiration for a future project," she says. Suvorova enjoyed NASA's "image of the day" project, and came to notice NASA's gallery of space photography was free to use -- the org explicitly encourages artists and creators to access its database and use it in their work. "I wanted to make them more accessible in a different, more contemplative and playful way than just looking through a database. That's how I started to work on a project called OKO, a puzzle game that's a hypnotic journey around the planet using beautiful satellite images." After this project, Nadya was more driven than ever before to explore more scientific pictures -- microscopic imagery and space photography that offers a different view of the universe.Inspired by 1977's "Powers of 10," an oddly-beautiful short documentary on the relative size of things in the universe, and with mentorship from a retired CERN physicist, Suvorova gained a new perspective on the scientfiic world. "There a lot of different ways designers can work with science," she reflects. "For me it's very inspiring to use scientific ideas and output in projects. I like to play with them, I like to create experiences out of them, and I think that complex scientific ideas could be interpreted in a more poetic way to make them accessible. Sometimes, instead of creating new worlds, we can create playful experiences based on the discoveries of our real world." Take a beautiful tour of Nadezda Suvorova's projects at her website.